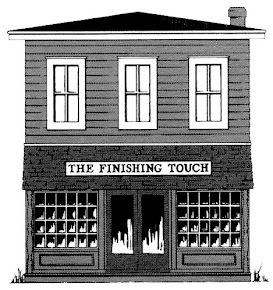 The Finishing Touch: New Summer Designs! Now that summer has arrived in all its glory, it is great to see so many designers bringing out new and exciting ideas for the season. 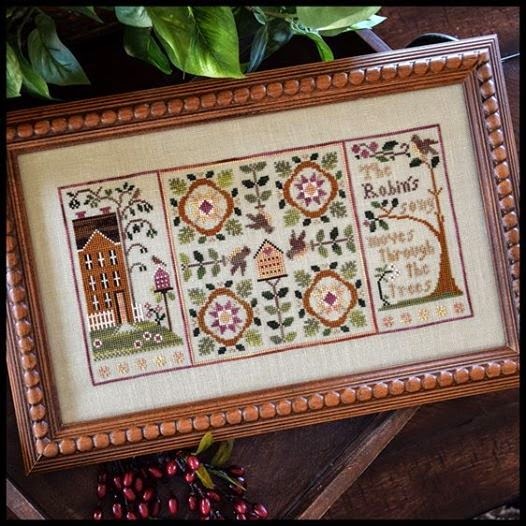 From Plum Street Samplers, a beautiful antique sampler titled “Esther Syer.” Paulette explains that no model was stitched for this antique as she felt the colors and motifs have survived beautifully, despite the sampler being 218 years old. 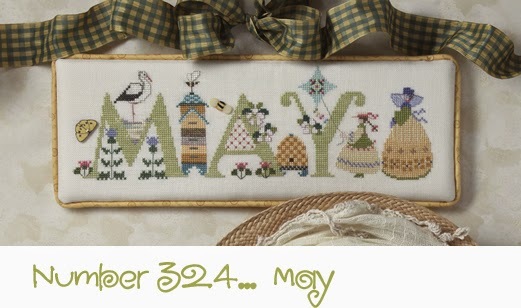 Two new months from The Cricket Collection – “May” incorporates birdhouses, pelican, beautiful spring flowers and maypole dancers while “June” features flowers, strawberries and darling buttons. What a great collection. 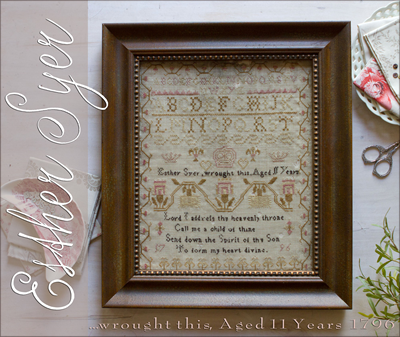 Stacey Nash Primitives has a wonderful new offering. “Houses of Berry’s Chapel Road…Miss Baxter’s House” includes Miss Baxter in front of her colonial home watching her flock of chickens and a rooster. Super design! 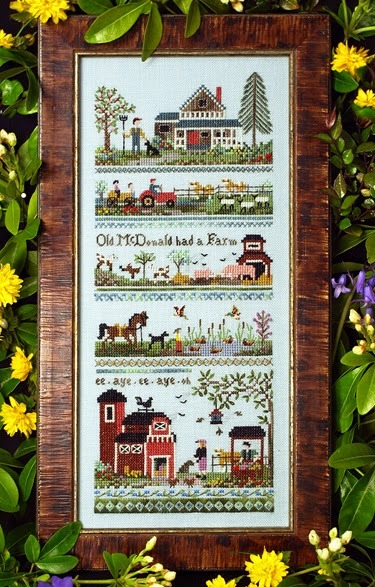 “Old McDonald’s Farm,” an outstanding farm with barn, farmhouse, tractor and a collection of animals, is another wonderful design from The Victoria Sampler. Gorgeous colors! 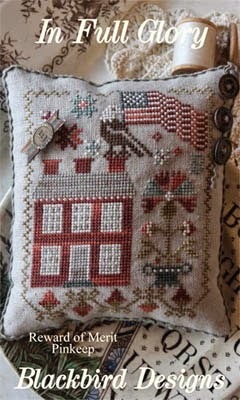 We have a number of great patriotic designs to share, as well. 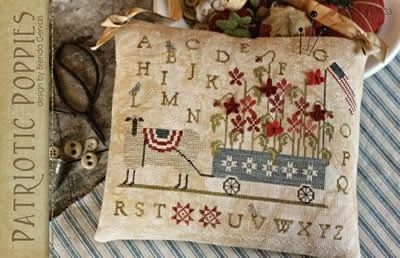 “Patriotic Poppies” from Country Stitches has the cutest lamb with a bunting cover pulling a wagon filled with poppies. 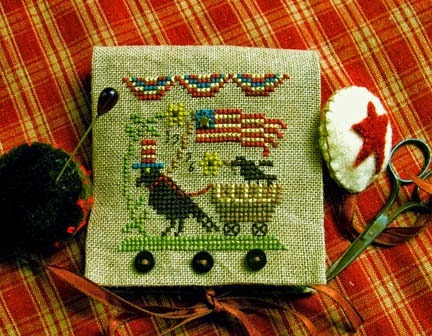 “Uncle Sam Crow Needle Case and Scissor Fob,” from Homespun Elegance, is exactly that with patriotic crow, wagon and blackbird. “In Full Glory,” Blackbird Designs’ new offering shows a large red colonial home with an eagle atop and a large waving flag. 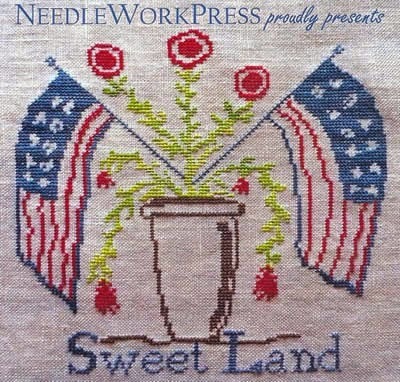 Sweet Land from Needlework Press is a beautifully done freedom reminder. 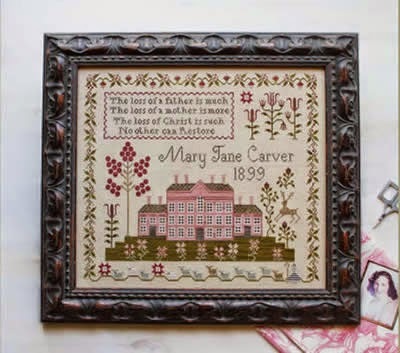 Another lovely Plum Street newbie is “Pink House Sampler.” Centerpiece of this sampler is a large pink house with large green lawn sprinkled with pink flowers and a detailed floral border. 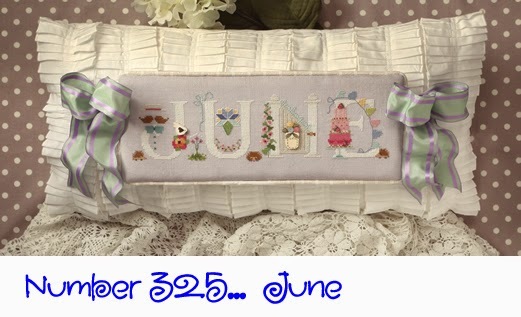 This is a special project for sampler lovers. The Trunk Show from The Heart’s Content is still in our shop and we are offering 10% off all Trunk Show purchases until July 15th. Come see these beautiful models. 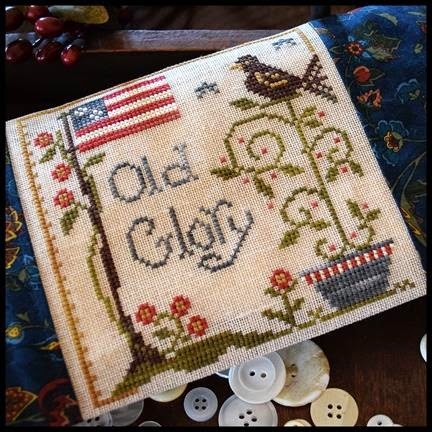 Here is a preview of things coming early next week: Little House has Old Glory, Robin’s Song, and the July Calendar Girl. 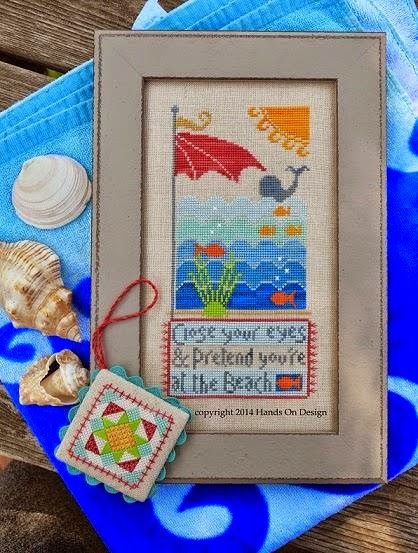 At The Beach, by Hands On Design, will make you wish you were there. 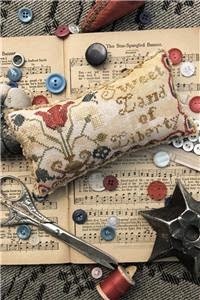 Heartstring Samplery’s Sweet Land of Liberty is a sweet, small patriotic offering. Can’t wait to see what other summer designs are headed our way.